I’m building the fence system from Fine Woodworking #231. 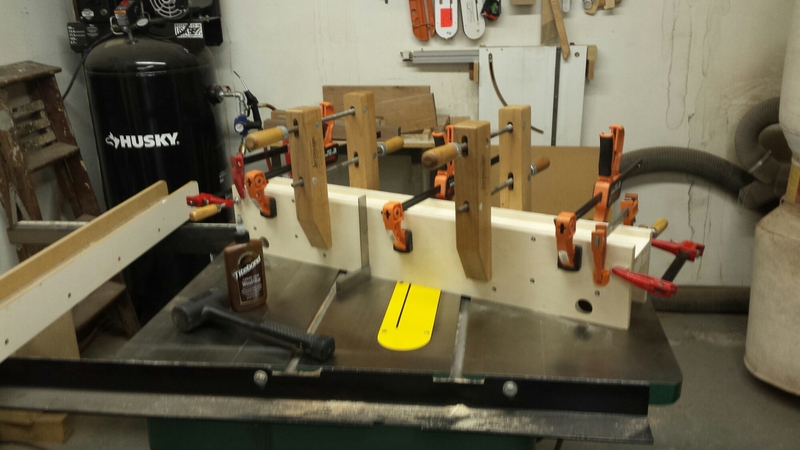 The glue-up is complicated. The assembly has to be true with no twist and the working face has to be square to the bottom. Modern woodworking glues just don’t give me enough open time before they tack up and refuse to allow any adjustments. In these situations I use liquid hide glue. It is plenty strong and allows for all the adjustment needed. This is my choice for creating professional drawings. I have tried a lot of CAD applications over the years, but never found one that I really liked. Some years ago I tried SketchUp’s free version. With no instruction It was a real struggle so I eventually abandoned it and went back to hand sketching my projects. Recently I bought a laptop to allow me to work in the comfort of my easy chair. At last weekends Woodworking Show I sat in on a couple of SketchUp seminars and learned quite a bit about the software. So I decided to give the free version of SketchUp another try. What I learned in the seminars is that you have to forget what you know about CAD software. SketchUp is a 3D modeling program not a CAD program. You build your model (whatever project you want drawings for) in a 3D environment. Then you work out from there. It is a fairly simple application but because it is so powerful and can do so much the learning curve is pretty steep. Without some instruction you will most likely get frustrated and give up like I did the first time I tried it. There is a lot of instruction available on line where you will find many video tutorials that will get you going in the right direction. You can also buy an instructional video like I did. There are also many of these available at very inexpensive prices. Here is the one I bought. There are so many resources available to help you learn this application that as long as you are patient and keep trying you will master this software. I am still climbing the leaning curve, but this time I am making progress and can see some light at the end of the tunnel. 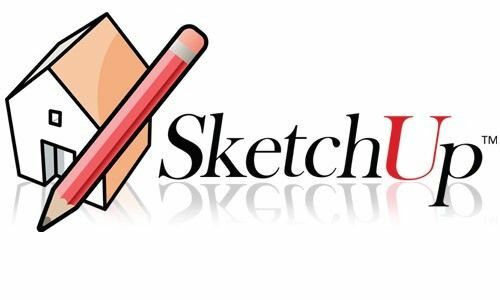 To download SketchUp MAKE, the free version, look here. Now that all the parts of the #5 plane have been thoroughly cleaned, derusted and inspected, as can be seen in the photo above, it is time for the next step. 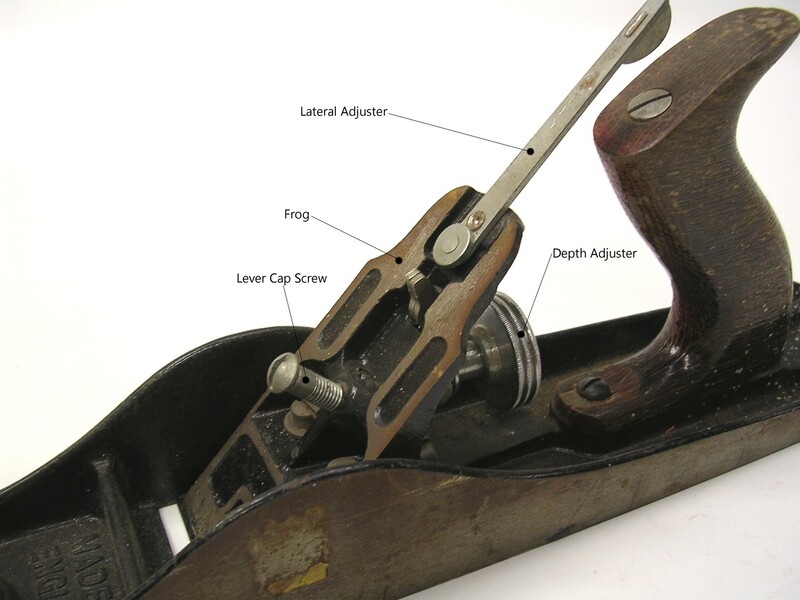 All parts of the plane are shown in the photo except the knob and tote. These wood parts are being stripped and refinished and will be installed later. Checking the sole of the #5 for flatness. The next thing that needs to be done is to determine that the sole of the plane is flat. 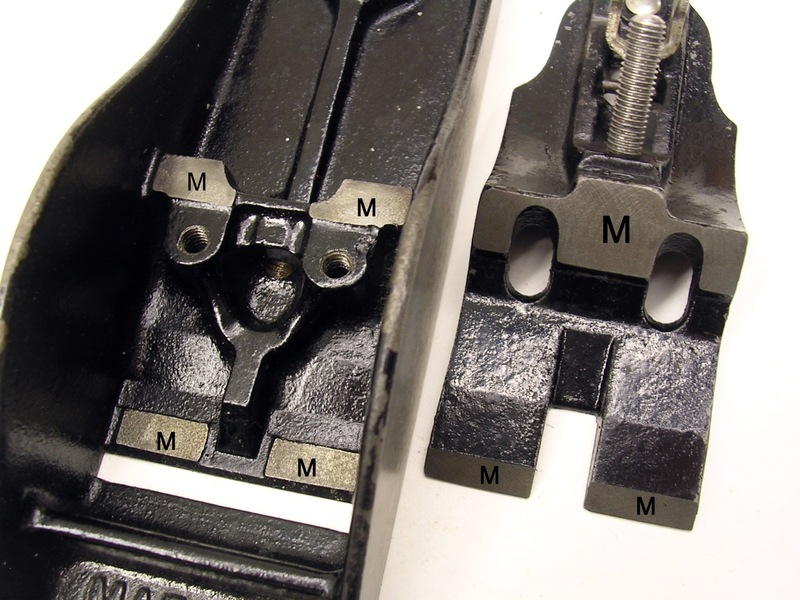 This plane still shows the pattern of the original factory grinding so no work needs to be done to the sole or the sides. 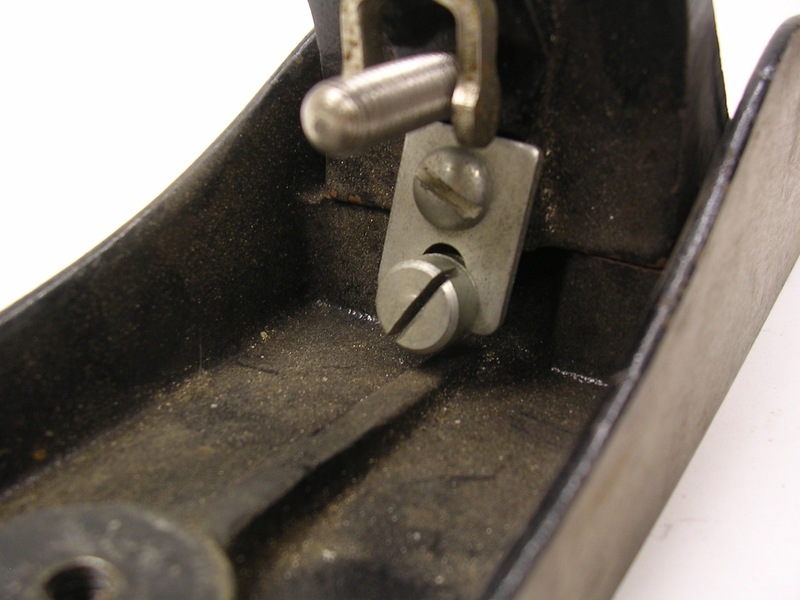 You can check the flatness of your plane’s sole using a good quality, (such as Browne & Sharp or Starrett), steel scale, commonly called a rule, and a feeler gage. As shown in the photo above. In the machine trades we use scales not rulers. If you can get a feeler of more than 0.005″ between your scale and any point on the sole of your plane you should consider flattening it. 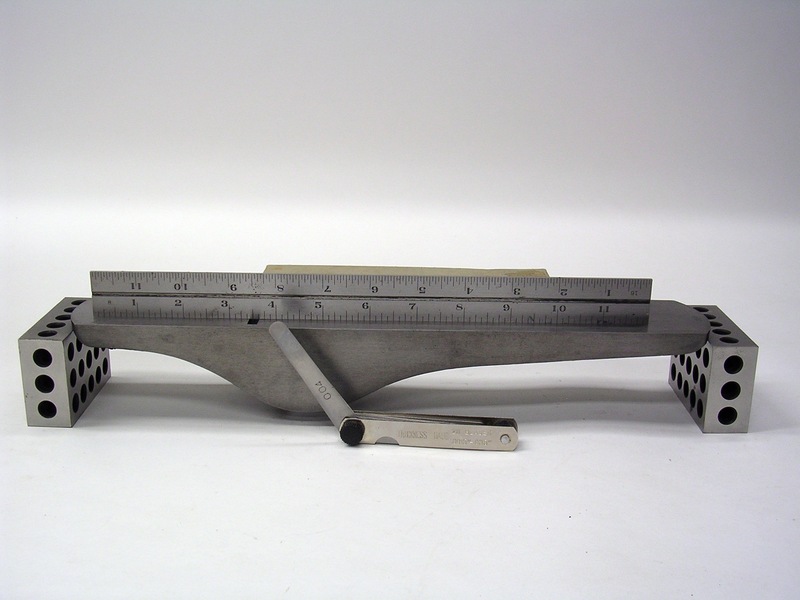 For a better straight edge than a scale consider these. To get a feel for what is needed to flatten a plane sole look here. 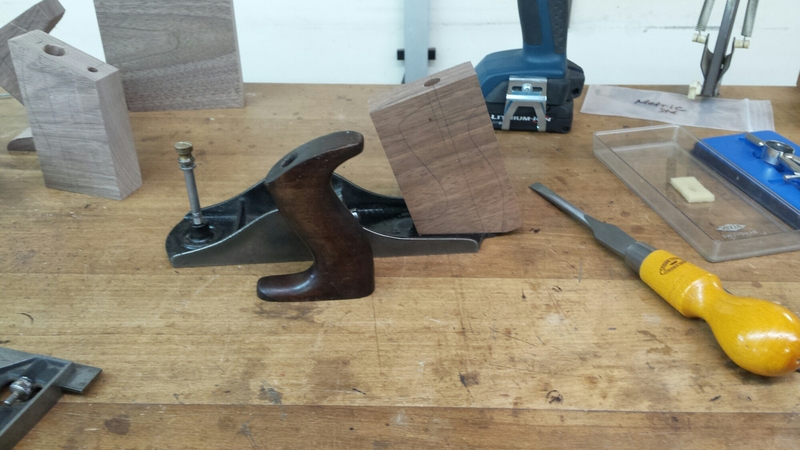 Flattening the sole of a hand plane is a job that requires a little skill. If not done properly it can make the sole of your plane much worse. I don’t recommend this job be done by the average woodworker. 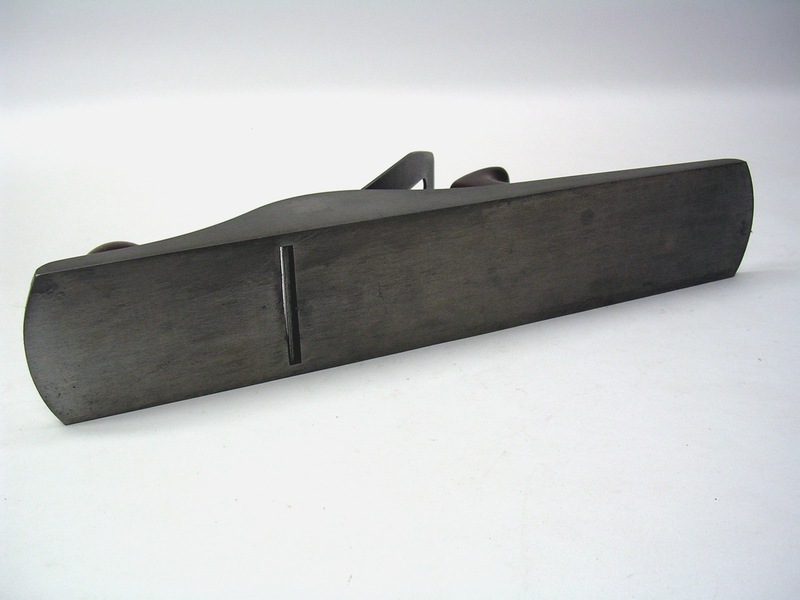 If the sole of your plane is not flat within 0.005″ – 0.006″ I recommend that you send the base casting of your plane out to a professional machinist to have it ground. For this job I can recommend Tom Bussey. I have used Tom’s service on numerous occasions and can recommend him highly. If you want to repaint your plane do it before you send it out to be reground. 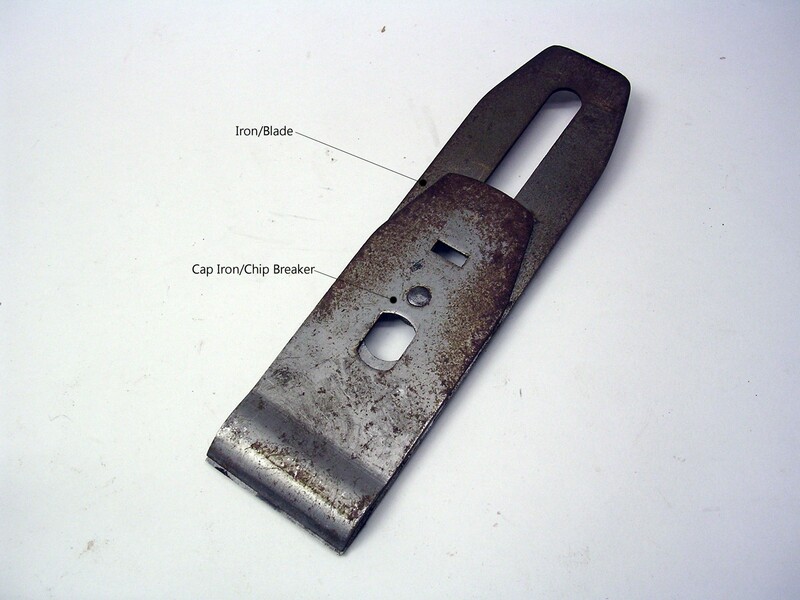 You will need to strip whatever remains of the original finish using a strong paint stripper. This is the paint I have been using for re-painting bench planes. 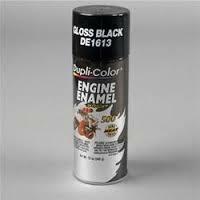 I have used Dupli-Color ceramic engine paint for many years and can recommend it. If this is your first plane don’t spend time making it look pretty. That time is better spent getting the plane into service and learning how to use it. It will not work any better with a shiny paint job. Once the base is flat we can turn our attention to the frog. Flattening the surface of the frog where the iron/capiron assembly seats is an operation that most all plane refurbishers recommend. This video will give you all the information needed to flatten the face of your planes frog. Frog and base mating surfaces marked “M”. This type of Prussian blue is available at auto parts stores. I have been using this brand for many years but I’m sure any lapping compound will work. Continuing with the work on the frog the next operation is to make sure that the mating surfaces of the frog and the plane base make good contact with each other. These are the surfaces marked “M” in the top photo above. There will be machining marks on these surfaces but they should not be too rough. The frog should set on the mating surfaces of the base without rocking in any direction. You can check the fit of these surfaces by coating one set of them with Prussian blue artists oil and rubbing the surfaces together. See center photo above. If you have an even coat of blue on all mating surfaces you need do nothing more. However, if you have areas of poor contact, as seen by spots of dark blue, then you need to lap the surfaces. To lap the mating surfaces of the base and the frog use automotive valve grinding compound as seen in the lower photo above. This compound is a powdered grit of either aluminum oxide or silicon carbide suspended in oil. 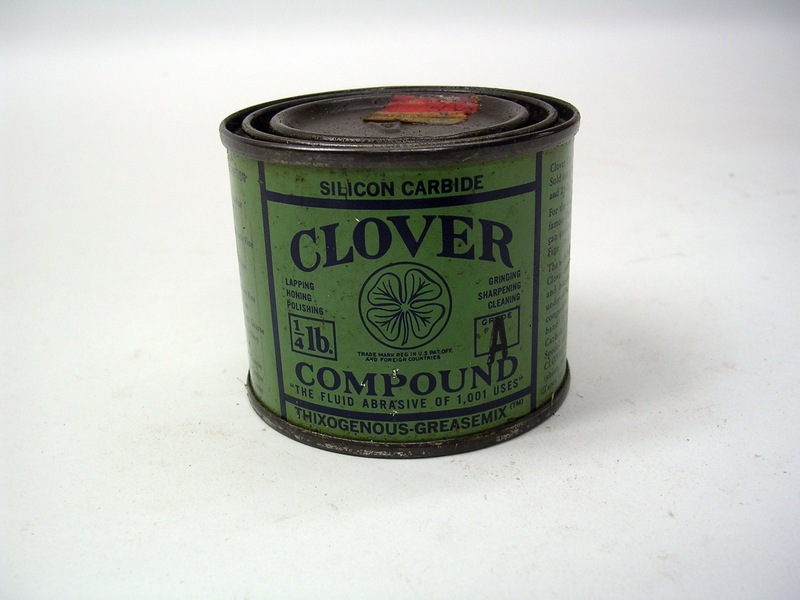 It comes in various grits as designated by a letter on the can. With “A” being the finest. Start with an 80 or 120 grit. Apply a dab of compound on each surface of the base and set the frog in place and with moderate downward pressure slide the frog as far as it will move in all directions in a random motion. You are done when there is an even dull gray finish on all of the mating surfaces. 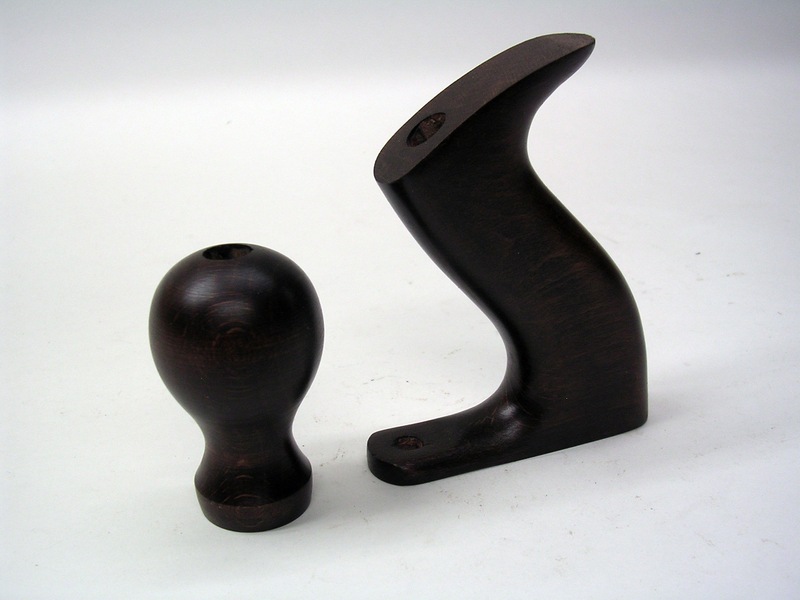 The original knob and tote stripped and refinished. Now it is time to do something with the knob and tote. This is not always a cosmetic thing. The originals on this plane were chipped and peeling. This made them feel uncomfortable in use. So I stripped the original finish off using a strong gel stripper. Then I sanded them smooth to 220P. This set is made of hickory and it had turned gray from exposure to dampness so I stained the wood a dark brown. Use your favorite stain. I like oil based gel stains because they are easy to use and very forgiving. When the stain was dry I applied 3 coats of fast drying wipe on polyurethane varnish. My favorite for this use is shown in the top photo above. I like this in a satin sheen because it looks very good. 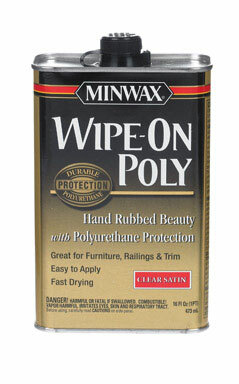 Polyurethane will stand up to hard use better than anything else I have tried. The photo above shows the finished set ready to go back to work. Finally it is time to assemble the plane. As you can see from the photos above the old #5 looks pretty good. But looks are not what is important. What is important is that all parts are clean, and rust free and fit together properly. And that all moving parts are lubricated and move smoothly and freely. Also, the sole is sufficiently flat to allow fine and full width shavings. I have decided to save sharpening for the next part because this is a very important part of handplane basics. Part 3 will be entirely devoted to sharpening the old #5. If you haven’t done so already familiarize yourself with this video so you will understand my methods of capiron preparation. If anyone is interested in purchasing the magnetic indicator block shown in the photo they are welding clamps and can be found here. They can also be found on eBay. This is a 1″ travel dial indicator mounted on a magnetic block. I use it anywhere in the shop where I need to make precise adjustments. Here it is on the back side of my table saw fence. The indicator is inexpensive and you can buy digital ones for even less. However, these magnetic blocks have gotten expensive. But it would be an easy job to make one from aluminum or even a hardwood like maple or cherry. Simply glue 1 or 2 rare earth magnets into counterbores in the bottom of a block and mount the indicator. 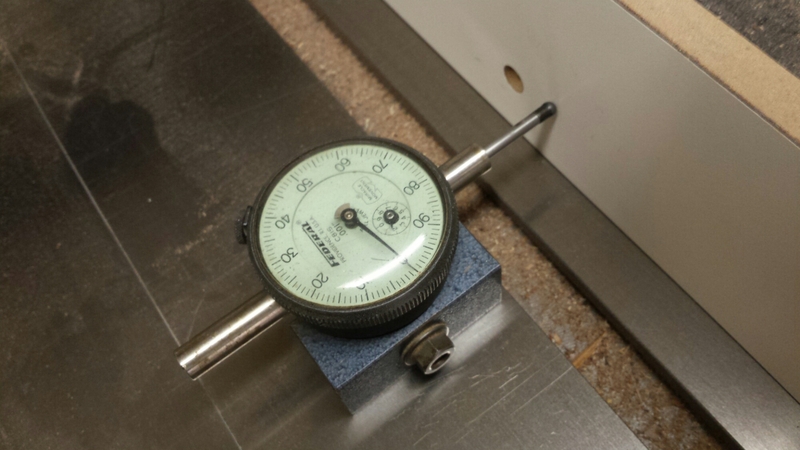 With this setup you can make adjustments in 0.001″ increments. Flea market Stanley #5 jack plane. 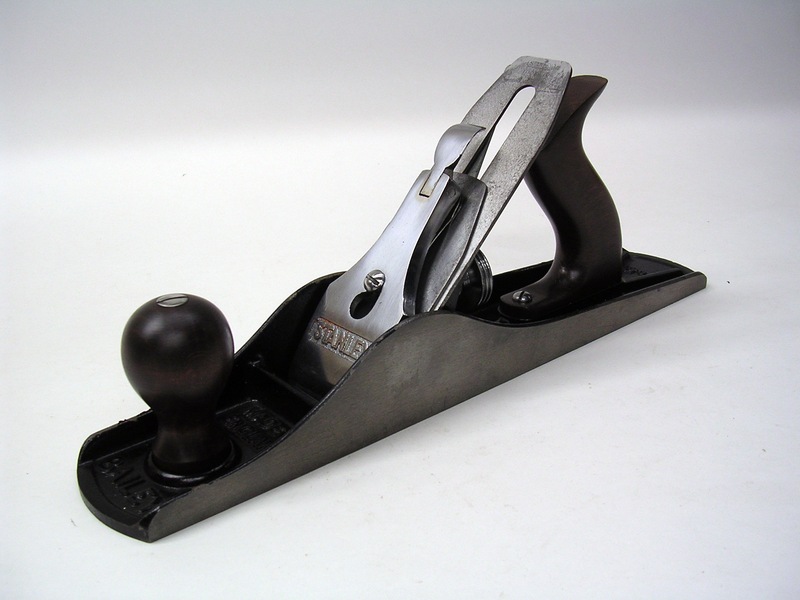 I am often asked how to get started using handplanes. So, here goes. I chose the plane pictured above for this article because it is common and inexpensive. 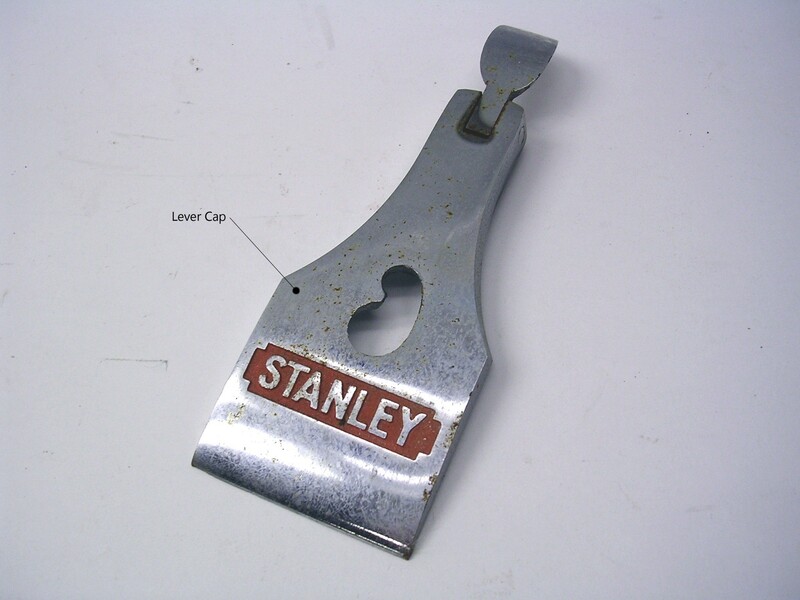 It is a modern Stanley #5 jack plane made in England. I bought it at a flea market for $7. My purpose is to show you that just about any plane can be made to work well with some knowledge and work. The object of this article will be to make this plane work well not to make it look pretty. 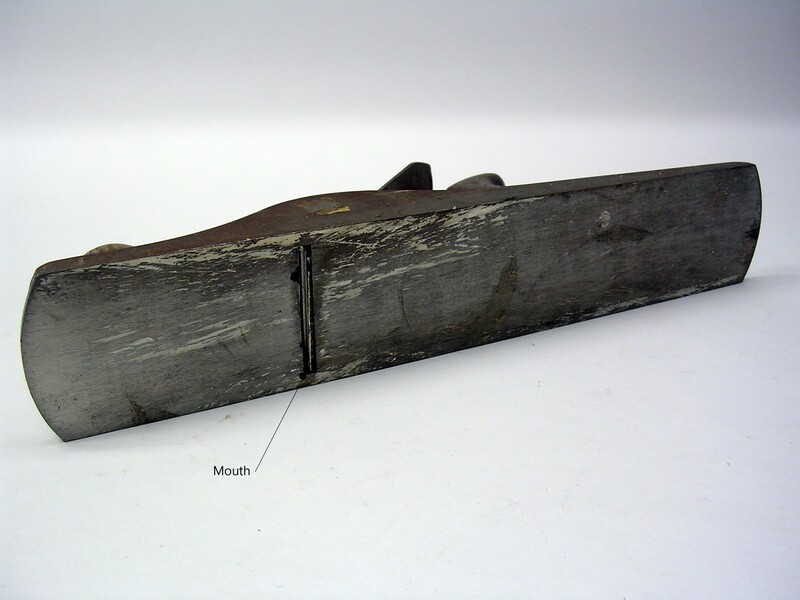 Iron bench planes have been in production since the Civil War era. There are so many on the used market that it should not be hard to find what you are looking for. I recommend that a beginner choose a #5 jack plane for the first plane. 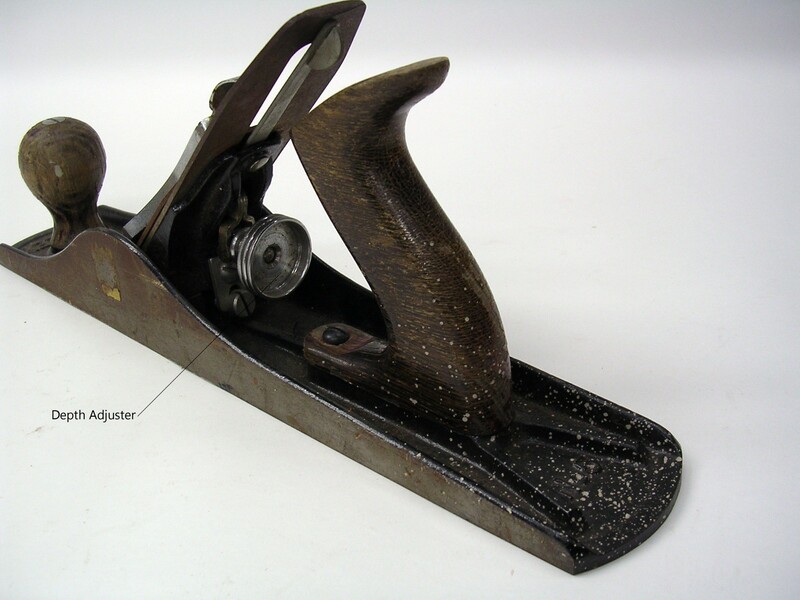 The #5 is called a jack plane because it is “the jack of all trades” as the saying goes. 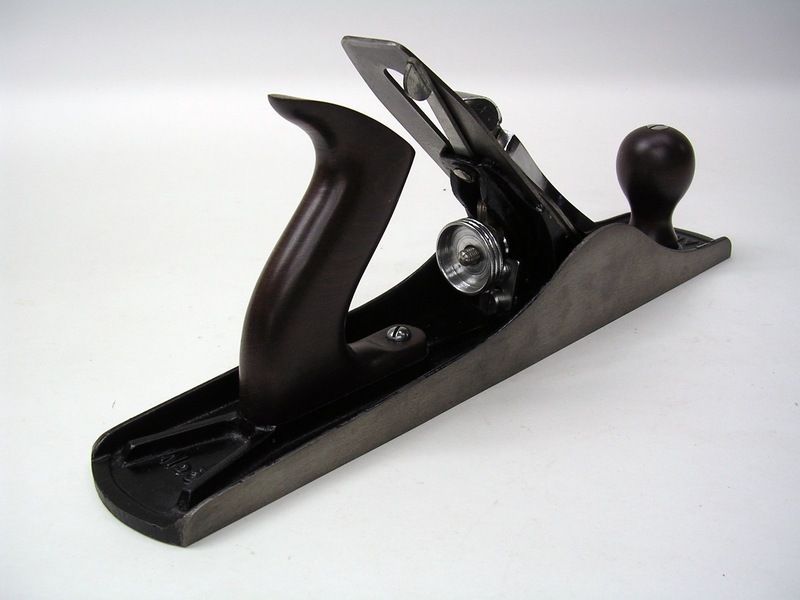 This plane can be used to chute (commonly referred to today as shoot) the edges of boards for panel glueups, roughing boards to thickness, even smoothing surfaces. It is my go to plane and the one I most often use. One note of caution here. As I stated above these old iron planes were made by the millions and are very plentiful. Inspect a potential purchase carefully before you buy. If it has missing or damaged parts DON’T BUY IT! There are so many of these old planes that there is no need to buy anything that is damaged or incomplete. Replacement parts are expensive. 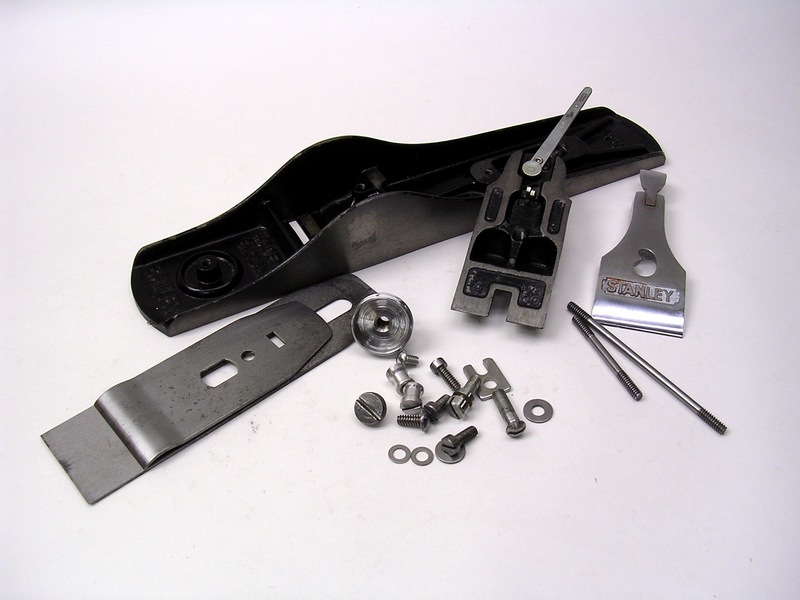 The jack plane with some of its parts identified. Let’s begin by identifying the parts of this plane. In the photo above you can see the knob, the lever cap and the tote. The #5 from the rear. Here you can see the sole of the #5. The photos above give you a better look at the neglected #5. They also clearly show the depth adjuster knob and the mouth. A view of the #5 without the iron assembly. In the photo above you can see the frog, the lever cap screw, the lateral adjusting lever and another view of the depth adjuster knob. Here we see the iron assembly. In the upper of the two photos above we see the cap iron/iron assembly. And in the lower photo we see the lever cap that holds the iron/cap iron assembly securely to the frog in use. The photo above clearly shows the frog adjusting screw. This screw moves the frog forward or backward to adjust the size of the mouth opening. This screw came into use on Bailey style planes around 1907. 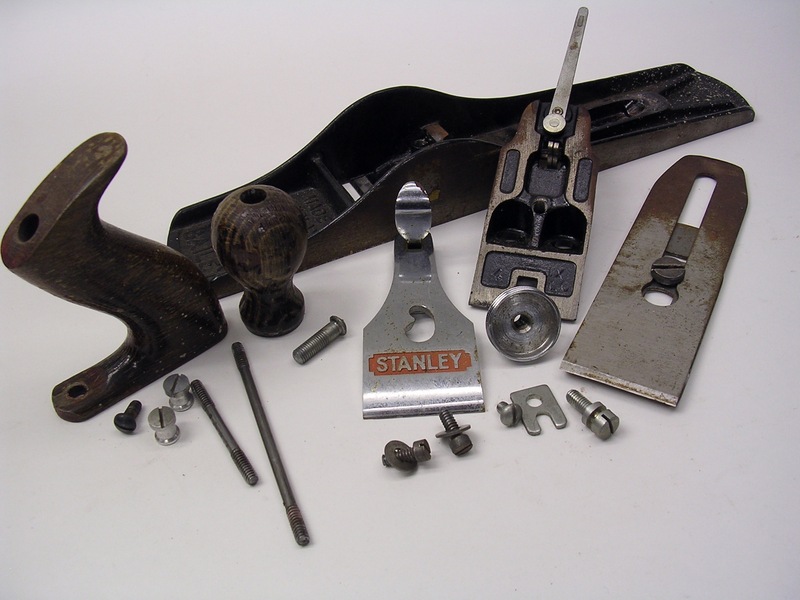 The first step to putting an old, neglected iron bench plane back into service is to completely disassemble it as can be seen in the photo above. Thoroughly clean and degrease all parts and inspect them for rust, wear, and damage. If you have carefully inspected your plane prior to purchase there should be no damaged parts. However, some damage can go unseen during an inspection. Damaged parts must be repaired or replaced and all traces of rust must be removed because it inhibits the fit and smooth movement of parts. Over the many years that I have been dealing in antique and vintage tools I have tried just about every method of rust removal there is. I have settled on EVAPO-RUST for small parts and electrolysis for larger parts. I use the basic method you will find in the link, but you don’t need the electronic device or all the anodes the author uses. A 12 volt battery charger, one piece of stainless steel for an anode, and a 12 volt trailer clearance light with two bulbs connected in series with the positive lead to the anode will yield sufficiently low current to make this a clean process. This low current method is the same one used by museums to clean ancient, valuable artifacts. I plan on doing an in-depth article on rust removal in the future. For now use whatever method works best for you. 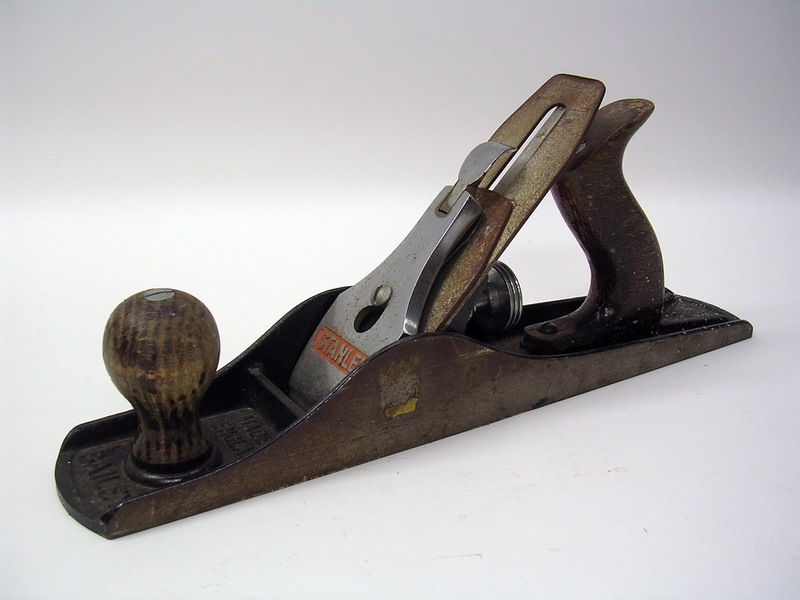 In the next article we will assemble, sharpen, and fettle this old plane to work the way it should. Until then you have plenty to do. Go out and find a plane and get started. Once you bring hand planes into your woodworking you will wonder how you ever got along without them.